The Meze headphone company has a passion for music and art, aiming to achieve synergy between sound quality and style for headphones that look and sound amazing. 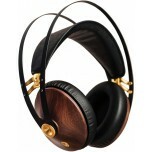 They design high-end headphones as they themselves want. Starting in London in 2009, Meze Audio was founded by industrial designer Antonio Meze. The Meze headquarters have since relocated to Romania and the name has changed to Meze Headphones. The Meze headphones are now available worldwide and they have received top reviews from numerous industrial publications. Meze headphones are a firm believer in following their own path rather than follow other, they have stood by their values since the company’s beginnings and do not follow trends or let them influence their designs. That Meze headphones are timeless classics that do not go out of style with the next season is a testament to the design teams patience and dedication. 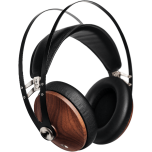 Meze headphones as a company consist of an eclectic group of specialists, from various backgrounds such as audio engineering, product design, crafting, and music production. The brands defining trait is that each speaker enclosure cup is hand-crafted from wood unlike the standard plastics and polymers commonly used by most manufacturers. 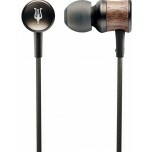 The types of wood they use in the construction of the headphones are ebony and beech. As a team directly involved in arts and sports, Meze understands that music is not just a pastime but a way of life for many music lovers. The choice of real wood design was specifically created to offer a warm sound that you can enjoy no matter the listening environment. 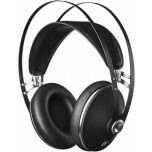 Meze’s goal is to raise the bars in terms of audio quality and design for headphones in general. They strive to allow the listener to hear their preferred music just as the original artist intended.